This is a highly edited travel photo of a very distinct tango street sign I noticed while randomly wandering in Buenos Aires, Argentina. Wandering around the numerous barrios (known as streets) in Buenos Aires was one of my favourite travel experiences in Argentina while visiting in 2010. Sometimes taking the time to edit your travel photos is well worth the effort. I like this version of the picture far more than the original. This is a travel photo from Buenos Aires, Argentina. If you’d like to view more photos like this click on the tango dancers above. Great photo. Captures the mood of Buenos Aires perfectly (obviously, they’re doing the Argentine tango and not the brutish American version). Love this- I really like the sign, but I actually love the blurred out background just as much. Thanks Jade 🙂 I had fun editing this particular photo. 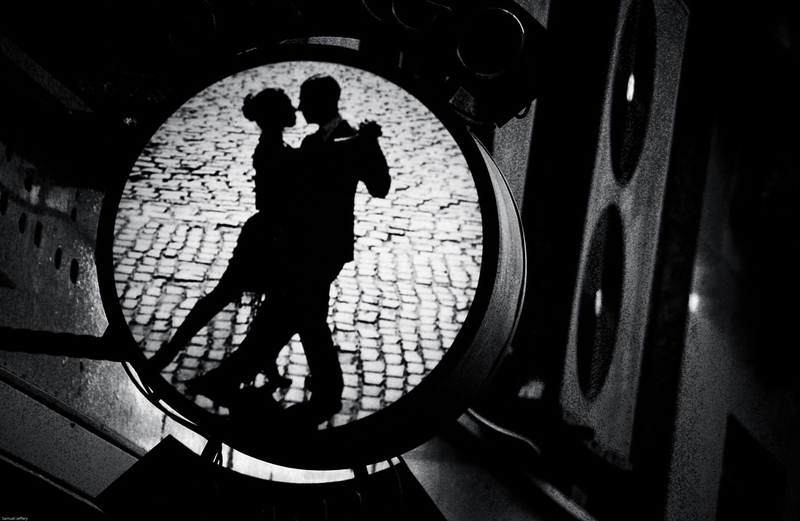 I love dancing and in fact, one of my frustrations is to dance salsa and tango. Too bad i can’t find the right dancing partner since i am quite tall in terms of Philippine standards (5’8). Wow, artsy! Can’t wait to walk the streets of Argentina! Thanks, you’ll enjoy every moment when you do get that chance.